John Corneil, 54, was shot Friday during an armed confrontation with state police outside a grocery store in Oakfield, according to authorities. A southern Aroostook man shot by a Maine state trooper as officers tried to arrest him in Oakfield last Friday, died of his injuries at a Bangor hospital on Saturday. 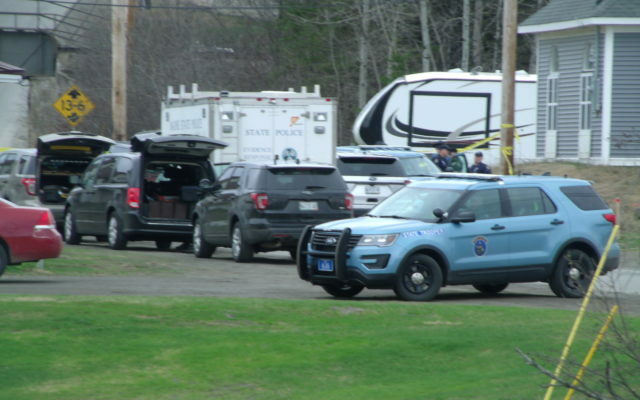 John Corneil, 54, of Merrill was shot during an armed confrontation with state police outside the Thriftway grocery store in Oakfield, according to Maine Department of Public Safety spokesman Stephen McCausland. Medical personnel initially transported Corneil to Houlton Regional Hospital for treatment of gunshot wounds, and later transferred him to Eastern Maine Medical Center in Bangor, where he underwent surgery and later died. McCausland said that the Maine attorney general’s office is investigating the officer-involved shooting, as is standard procedure. The state medical examiner’s office has completed an autopsy, but the results are being withheld as part of the investigations, according spokesman Mark Belserene. Sgt. Chad Fuller of the state police shot Corneil outside the Oakfield Thriftway on Friday, May 4, after Fuller and two other state troopers went to arrest Corneil in connection with an incident that happened earlier in the week in Smyrna, Lt. Col. John Cote said last week. Corneil allegedly challenged troopers outside the store with a handgun, which was later determined to be a pellet gun resembling a Beretta 9 mm pistol, according to Cote. Suzanne and Alain Philibert of Oakfield who live on the Ridge Road, just across the street from the Oakfield Thriftway said Monday that they were home when the shooting happened and heard the gunfire. “We heard the shots and then looked and saw that he [Corneil] was on the ground just outside the entrance to the store,” Alain Philibert said. Both said that they believe they heard four shots fired. The Philiberts said that they had seen Corneil around the community but did not know him well. “He kept to himself,” said Suzanne Philibert. Corneil has a significant history with law enforcement. According to a criminal history record obtained from the State Bureau of Identification, he was arrested in June 2008 after refusing to submit to a warrant for his arrest. No information was provided about the reasons for the warrant, but the record indicates Corneil was sentenced to 48 hours in jail and fined $250. He was sentenced in March 1999 to two years in prison with all but 45 days suspended on a charge of criminal threatening with a dangerous weapon, for firing at a state police officer who tried to serve him with an arrest warrant in late August 1998. According to archives from the Bangor Daily News, Corneil barricaded himself in his Merrill house on Route 212 for four hours when the trooper tried to serve him with the 1998 warrant. That warrant stemmed from his failure to appear in court on charges connected to a police chase earlier that summer, for which Corneil was charged with assault on an officer. Fuller, a 20-year state police veteran, was placed on paid administrative leave while the shooting is investigated, as is standard procedure. The Maine attorney general’s office investigates every time Maine police use deadly force to determine whether officers were legally justified in taking a life, with the findings eventually made public once the investigation concludes.